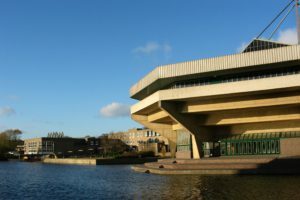 Booking is now open for our 2019 AGM at the University of York. Please click here to book and pay; you can find the full programme below. This panel will examine data on AHRC applications in English in order to explore the problem of scale as it applies to research funding bids in English Studies. With close involvement from the AHRC we hope to analyse the problem and encourage colleagues in English to ‘think big’. Given a continued decline in Humanities enrolments and a cultural climate of ‘anti-intellectualism’, this panel will ask what can English learn from colleagues in other disciplines such as Classics and Modern Languages. How might we work together to promote English and related disciplines by thinking more broadly about the study of languages, texts and literatures? In the wake of Brexit especially, how might we collaborate within and beyond the UK, so as to develop and promote the study of languages and literatures as effectively as possible? In the context of recent decline in English A-level enrolments, concerns about recruitment at HE, and the increasing characterisation of English as a frivolous discipline in the media and in political discourse, this panel will examine the benefits that a dedicated focus on ‘public understanding’ has brought to disciplines outside our own. It asks whether English is as well-understood outside the academy as we once thought that it was, and explores how we might enhance its perception in the public eye. Our 2018 AGM (13th -14th April) was held at the University of Lancaster. 3.00pm Panel 1: All change? : challenges for English and the humanities. A decline in A-level recruitment; changing patterns of UCAS applications across the humanities; the subject level TEF pilot; the review of higher education funding, the pensions crisis, strike and looming staff cuts: these are among the factors which will shape the landscape of English over the next five years. This panel brings together speakers from a range of perspectives to look at specific aspects of these developments and attempt to formulate an overview. It focuses in particular on the ‘pipeline’ for English from school through to teacher-training; on recruitment issues to HE across the humanities; on the first iteration of a subject level TEF; on the experiences of colleagues in institutions under threat, and on strategies for the humanities in the current pensions crisis. The professionalization of HE has transformed the role of professors, which can vary widely between institutions and departments. REF2021 guidelines and legislation on retirement age continues to shift the goalposts. Professors might be creative writers on fractional contracts, active researchers taking on significant management roles, or younger academics who have had a substantial impact in their field. Yet despite the diversity of professorial work, women and BME academics make up less than 25% of the professoriate. This panel surveys the new landscape, and considers the role of the professor in our subject community and beyond. How can English Studies overcome instrumentalism when it comes to the employability agenda? Is it possible to move beyond having to prove that our degrees are good value because they lead to good careers? Can we work together with students to consider how to live ‘good lives’ through education? This panel attempts to beat the buzzwords and showcase some of the exciting ways that individuals and departments are connecting students with the wider world. Speakers have experience in creating work-placement modules, leading research-based teaching projects, and building interdisciplinary approaches to English Studies that have new applications outside of the classroom. 3.40pm Panel 1: The future of security? The changing shape of an academic career. Discussions around academic career paths have tended to focus on the challenges facing Early Career Researchers; high awareness of such issues is reflected, for example, in responses within the subject community to proposals in the Stern Review around portability of research outputs. This panel aims to widen this discussion by considering academic careers in English more broadly, exploring the forces reshaping academic career paths, and asking how to manage and resolve concerns at all career stages. This panel explores changing landscapes of English research in light of the impact agenda, offering an overview of how the discipline has responded to REF requirements as well as discussing examples of excellent practice. Panelists will debate how far individuals, project teams, and universities are tackling broader philosophical and ethical questions about the utility of their work outside of academia. Over 60 UK universities sponsor schools in the UK, and the government wants to see numbers increase. Recent initiatives have also forged new links between university research and the classroom, from the Researchers in Schools programme to the Academics in the Classroom project. This panel will explore the new landscape of HE and school collaboration, and what it might mean for English. The AGM is open to delegates from all member institutions. Please contact Will May (w.may at soton.ac.uk) if you would like to check whether your subscription is up to date. Registration closes on Friday March 24th. Bookings cannot be accepted after this date. We can accept online payments, or take payment on the opening day of the conference. The 2016 AGM of University English was held at St Anne’s Oxford in the Mary Ogilvie Lecture Theatre from the afternoon of Monday 11th April till Tuesday 12th April. This panel explored the possible outcomes of this year’s Referendum on Britain’s membership of the EU, and ongoing consequences of devolution in the UK for the discipline. We also explored the impact of changing government policies on admissions to English across the UK, and across the sector, and presented a first look at the results of University English’s survey of admissions figures for the last six years. • Katharine Baxter (Programme Director (English), Northumbria University). This panel considered how we, and our students, might best negotiate the interfaces between school and university, and across different areas of the subject. How can we equip our students to succeed? How might we help them to improve their academic literacy? Would a more integrated view of our discipline help or hinder? • Integrating English project: Billy Clark (Middlesex University); Marcello Giovanelli (University of Nottingham). 2.45pm Panel 3: Universities at War? This panel scrutinized the proposals contained in the BIS Green paper on higher education, as well as the wider policy changes affecting the sector in this time of uncertainty: what does TEF mean for us? What will proposed changes to the infrastructure of research funding mean for English? What is the future for part-time study?